Ten amazing topics. 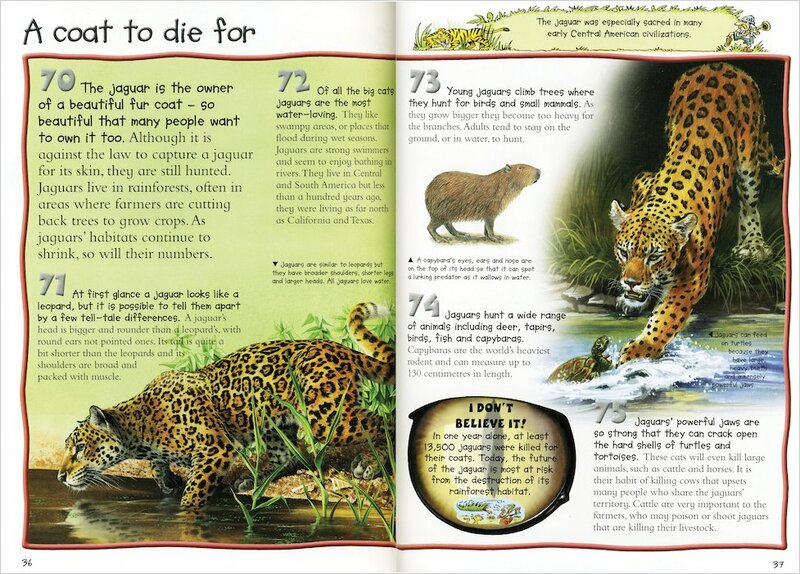 A thousand awesome facts. 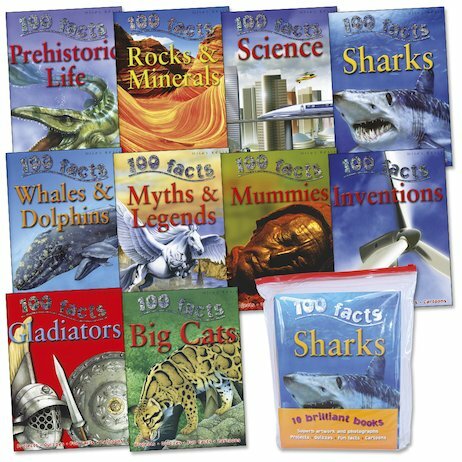 From prehistoric life to futuristic science, have them all at your fingertips! 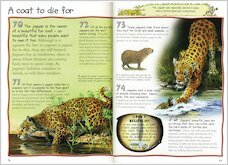 Supplied in a smart ziplock case, these brilliantly illustrated books contain 100 facts each to make sure you’re always in the know. Fact: the first horse was hardly larger than a pet cat. Fact: Spirit Cave Man, found in Nevada, USA, is one of the oldest mummies – more than 9000 years old. Fact: originally, ‘Paradise’ was a Persian word that meant ‘beautiful walled garden’. Fact: the first hot-air balloon passengers were a sheep, a duck and a cockerel! Want more facts? Get the books! Ziplock case contains ten titles: Prehistoric Life; Mummies; Gladiators; Myths and Legends; Big Cats; Sharks; Whales and Dolphins; Inventions; Rocks and Minerals; Science. I think i’d like this books because it would tell me about our world/universe!! I like beast quest because it has beasts and the beasts try to fight this little boy and there millions of beasts.